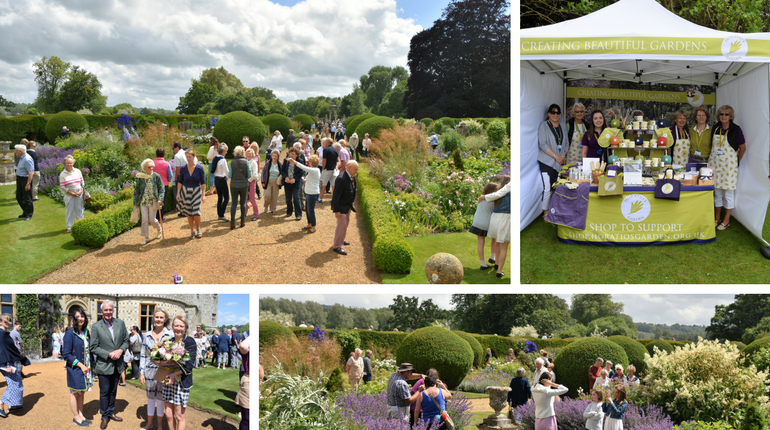 Lord and Lady Radnor kindly opened the Castle Gardens on 11 June to raise money for Horatio’s Garden whose patron is Lady Radnor. Horatio’s Garden is a charity that creates and lovingly cares for beautiful accessible gardens in NHS Spinal Injury Centres. Leading garden designers develop the stunning sanctuaries for patients, their family and friends to enjoy and appreciate. Horatio’s Garden opened at Salisbury District Hospital in 2012 which has been followed by a National Scheme endeavour with the aim of creating ten gardens throughout the UK Regional Spinal Injury Centres. At Longford over 1000 guests enjoyed an afternoon of glorious weather appreciating the hard work of Longford’s dedicated gardening team headed by Andrew Gray. Cream Teas and music provided by Salisbury Big Band made it a quintessential English afternoon.